Getting rid of ants in the house is not an easy task but it is possible, and these tips will help you to eradicate them. Before you lose all hope and accept that ants are new guests in your home, STOP! It doesn’t have to be that way! You deserve to be able to enjoy your house, your kitchen and your garden without being inundated by pests. Getting rid of ants in the house is not an easy task but it is possible, and these tips will help you to eradicate them. If you search the internet for ways to kill ants, you will find thousands of different suggestions, from frightening chemical concoctions to ‘old wives’ tales’ that may or may not actually do the job. If you have a major ant problem, always call in the experts to assess the best ways to get rid of ants. Meanwhile, here are a few helpful ideas which can be effective in preventing or stopping an ant invasion. Eliminating the ants’ food supply in your kitchen, living rooms and pantry is the best place to start. Ensure there are no food crumbs, scraps or spills being left on the floor, and remove dishes from kitchen sinks as soon as you can. Ants are looking for snacks, and if they find what they need in your pantry, they’ll keep coming back for more. 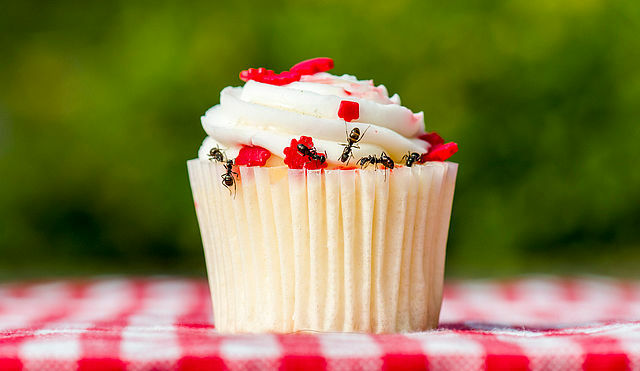 It can be particularly difficult to keep crumbs off the floor if you have young children or pets, but do your best if you want to keep ants at bay. But you also see ants in the bathroom, right? Ants go in search of food and water. Even a small face washer left damp on the sink can be a source of hydration for hundreds of ants. Keep your bathroom tidy and dry! Ants often move in a pattern, so follow their trail and place baits as close to their nest as you can. Worker ants are sent to find food and will bring the bait back to the queen ant; this will kill her and in turn the rest of the colony. Killing the queen is the most effective way to eradicate ants from your home. But keep in mind that ant colonies grow quickly and it only takes a couple of ants to start a new nest so you need to act fast! Ants follow a scent. When an ant comes into your home in search of food, it leaves a scent trail behind so that when it returns with extra ants from the colony they know the direct path to take. Remove the scent by wiping the ants’ track clean with soapy water. Start at the entry point if possible and then wipe with an all-purpose cleaner. Repeat as often as needed. Find the entry point your ants are using to make their way into your house. This could be a door frame, window sill or small gap in wood or concrete. When you find their doorway, create a barrier by using talcum powder, petroleum jelly or upside-down duct tape to stop them in their tracks. If you’ve tried it all and your ant problem is still getting the better of you, it’s time to call a pest control specialist! Pest controllers know how to track the ants to find their nests, using the latest equipment to locate sources of heat or moisture. 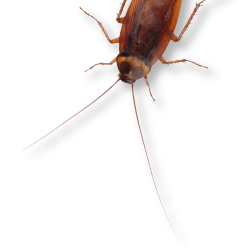 Once the extent of your problem has been uncovered, your expert pest controller has the right knowledge to eradicate them – permanently. When you have a serious ant infestation it can seem like there is no end in sight. Getting rid of ants in the house doesn’t have to be a constant struggle. Try these tips and you will be well on your way to getting rid of ants in the house. If in doubt, you know who to call! Prestige Pest Control is here to help. If you need help getting rid of ants in the house, contact the team at Prestige Pest Control a call today on (07) 3356 1400 to eradicate your pest problem!